The optimum time of year for seeding a lawn in our area is April 15 through October 15. Between these dates, the light quality and temperature combine to encourage optimum seed germination. The preparation of the site for seeding is critical and will have a long term affect on the success of your lawn. 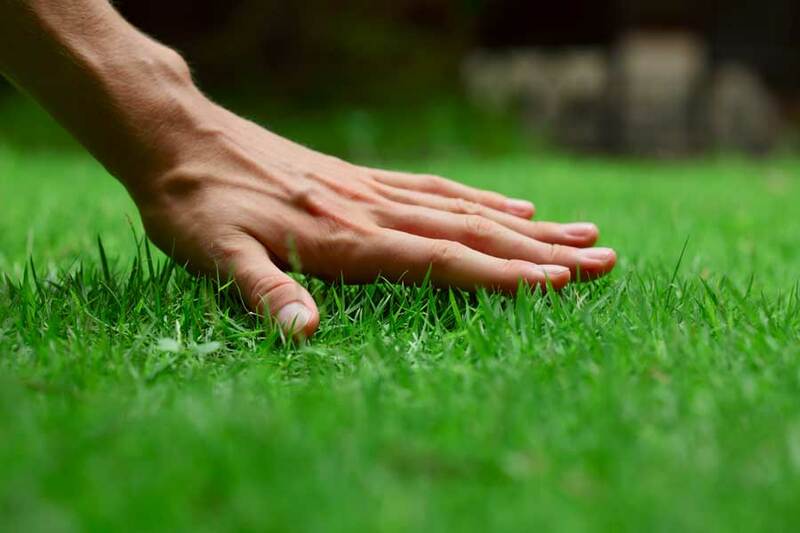 To have a quality lawn you will need to invest in site preparation as well as the seed itself. Assess soil quality. If you feel your soil needs amendments add some from of organic matter such as compost, sawdust, or peat. These help aid in water retention in the soil. To clay soils, you may want to add sand as well to help break up the clay. Rototill this material in to a depth of six inches. If you bring in topsoil incorporate it also – otherwise the grass roots will m merely grow through the topsoil layer and stop at the next soil stratification. If you choose not to rototill the area, you should bring in six inches of topsoil. Rake to remove rocks, sticks and debris. Level the area and compact it with a roller. Apply all-purpose lawn food (10-10-10) or 16-16-16) at a rate of 40 pounds per 5000 sq. ft. Apply Dolomite or garden lime at a rate of 40 pounds per 1000 sq., ft. Both the fertilizer and Dolomite are needed to produce good germination and a lawn that fills in rapidly. Seed using the setting and amount recommended on the seed package. Sow the seed criss cross and rake in slightly. Roll with a partially filled roller to settle the seedbed. Cover the seed with a light layer of peat moss at a rate of one 4 cubic foot bail per 1000 sq ft. Peat moss helps keep the seedbed damp. Water and keep damp until the lawn has been mowed once. Avoid watering to the point that the seed is flooding away. If the seed dries out during germination, the result will be a spotty lawn. Germination should occur within 14 days. The first mowing should be done when the grass blades are four inches tall. The mower blades should be adjusted to 2”-21/8” off the ground.